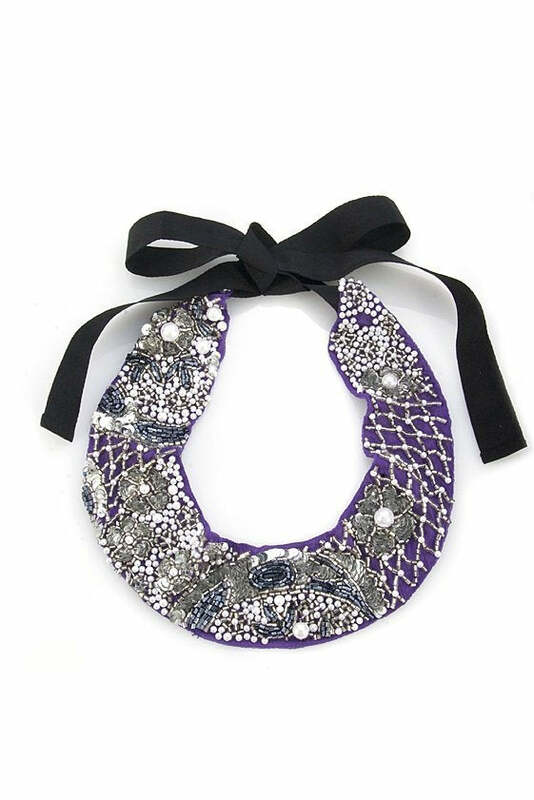 "Charot Ribbon Necklace, Purple" "This new line of to-die-for jewelry consists of bib necklaces, cuffs, and headbands all hand-beaded on chiffon in India. Each piece is extremely well-made and can turn a casual, simple dress into gala attire with the snap of a button. The brainchild of an ex Bergdorf Goodman buyer and an ex Marc Jacobs designer, the creations are truly unique statement pieces you'll have for many many years to come. Try to wear one of their pieces and not elicit oohs and aahs. It's damn near impossible. Chiffo"